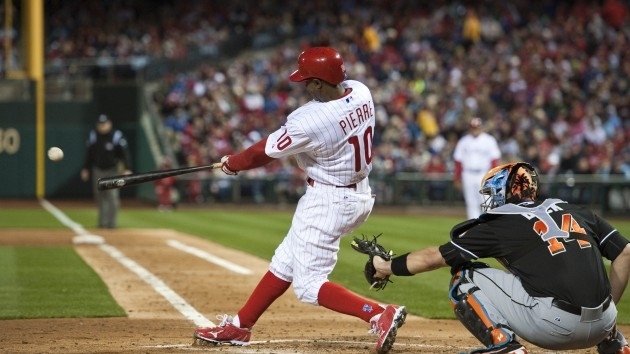 Juan Pierre was one of the most prolific hitters in terms of base hits in the last 12 years along with being the Active Leader for Career Stolen Bases. Pierre has 4-200 hit seasons in his resume. Chuck Booth (Lead Baseball Writer and @chuckbooth3024 on Twitter)- The game has been moving back towards speed, offense and athleticism since the adaptation of the steroid testing in the MLB. I think we will see a big emphasis on the Stolen Base in the coming years. We have Billy Hamilton coming in the near future and he could actually challenge a 100 Stolen Base in one season. 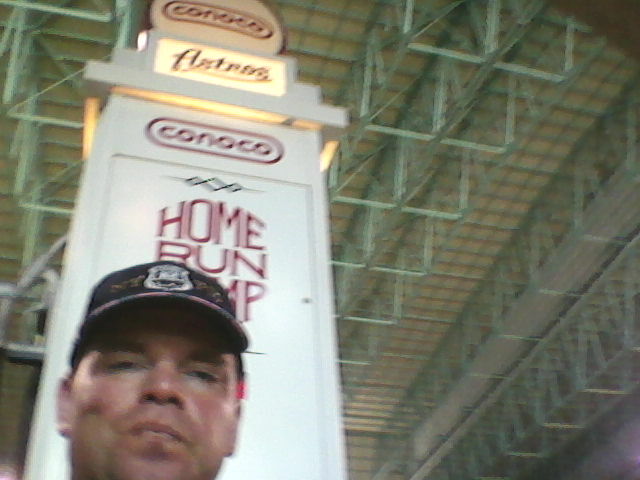 30 years ago there were several guys challenge or eventually succeed in stealing 100 bases. Rickey Henderson and Vince Coleman both hit the century mark 3 times, while Ron LeFlore and Tim Raines cracked the 90 SB plateau. Teams used to have several speedsters in their lineup. Jose Reyes has the most stolen bases in one year for the active players with 78 swipes in 2007. I omitted Luis Castillo from the list because he has not played since 2010, (much to the delight of the New York Mets fans I am sure.) 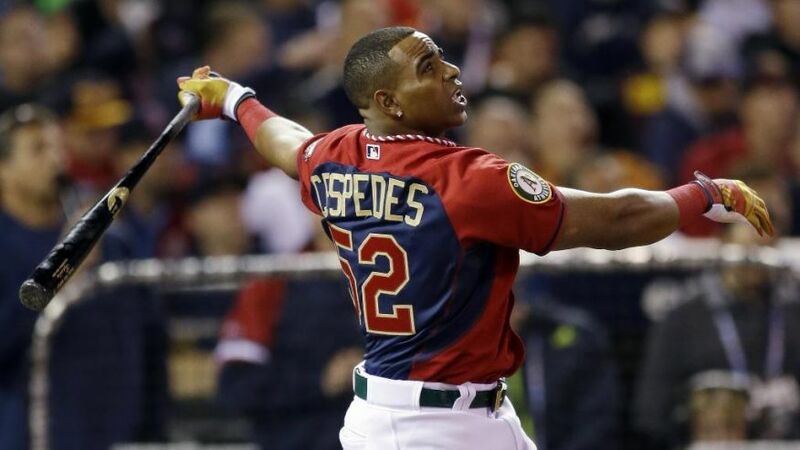 I am sure that Boston Red Sox fans are hopeful that he can regain his stolen base prowess very soon with him being only in the second year of a 7 YR/140 Million Dollar Contract. Johnny Damon also has foraged a great career to be on this list from sheer determination. Out of this top ten , Jose Reyes has the most steals per games played, while Omar Vizquel (who has played 2947 games) has the least amount of steals per game played. I was most surprised by Derek Jeter cracking this list because he has never stolen more than 34 bags in one year. 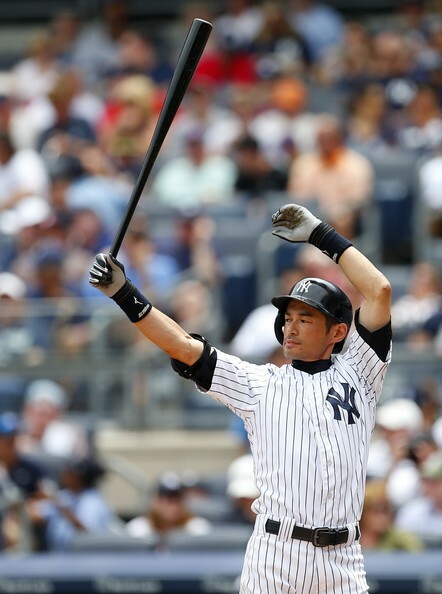 I wonder how many bags Ichiro would have stolen had he arrived in North America earlier? 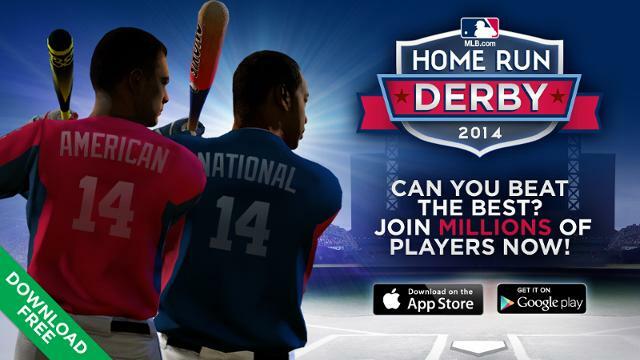 Johnny Damon and Omar Vizquel making this top ten is a test to their long-playing careers. I figured Jimmy Rollins had more steals than what his totals came in as. Bobby Abreu has the most HRs on this list with 286 and Juan Pierre has the least. with 17. Mike Trout vs. Bryce Harper: Who is the Biggest Prospect in Baseball? 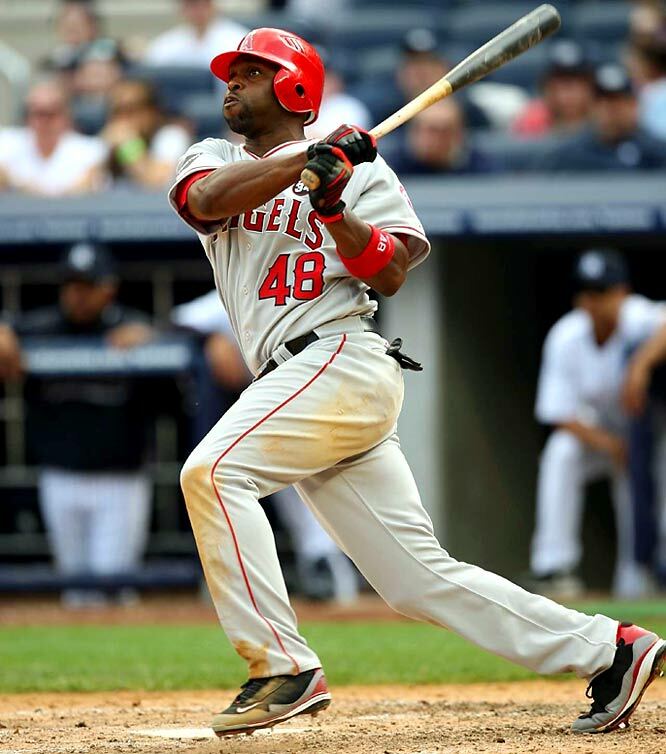 Sam Evans: Heading into the 2012 season, the Los Angeles Angels of U.S.A. of California of Anaheim have six outfielders that will be vying for playing time in the majors. Three of their outfielders have been selected to at least two all-star games, one is the best prospect in baseball, and the forgotten one was their best player last year. Let’s go through these players and decide who will be the starters for the Angels this coming year. 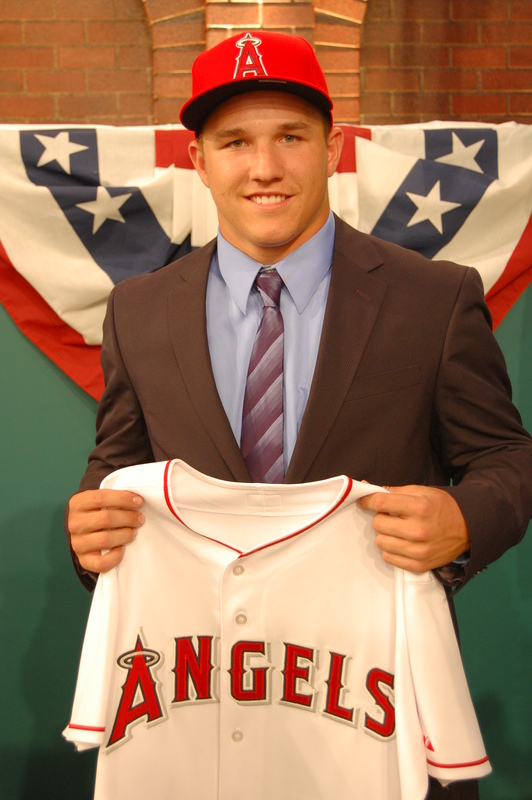 With the Halos in 2011, the 20-year-old Trout hit .220 with five home runs in forty games. He was probably rushed to the majors a little too early, but he impressed players and coaches with his physical abilities. In 2012, Trout needs consistent playing time at the major league level. If Trout is on the roster, the Angels have no other choice but to play him. If Trout fails in the majors, then they can send him back to the minors. But he needs a fair shot first. That’s why heading into this season, the Angels should have Trout penciled in as their starting right-fielder. Ryan Langerhans, LF, RF: The Angels signed Langerhans to a minor league contract on Friday. Langerhans has played for the Mariners, Nationals, and Braves in his career. He has never posted great numbers at the major league level and he’s always struggled against right-handed pitchers. However, Langerhans has established a reputation for being a clutch player. 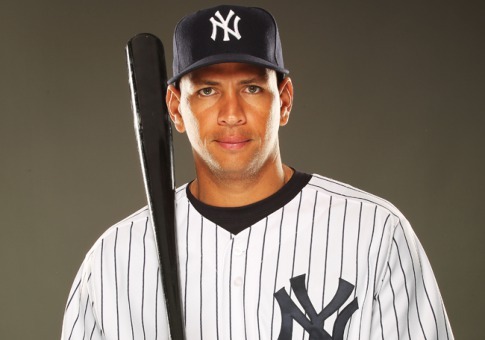 He has 26 go ahead hits in his career. Langerhans should definitely start in AAA. If any of the other outfielders get injured, he is a solid option to call up to the majors temporarily. 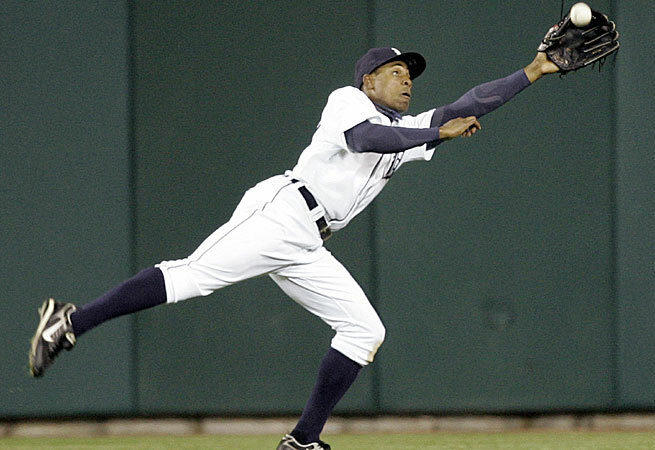 For right now, he is just simplynot talented enough to compete with the other Angels outfielders for a full-time gig. 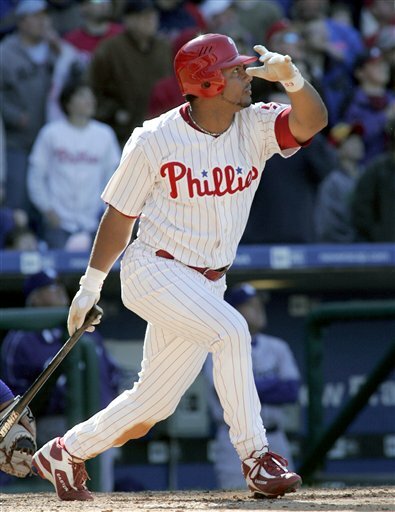 Bobby Abreu, LF,RF,DH: Abreu is a solid, consistent player. Still, he is 37-years-old and his level of play has dropped off drastically in the last couple of seasons. In 2012 (his contract year), Abreu is set to make nine million dollars. That is a lot of coin to pay someone to sit on the bench. Last year, Abreu hit .253 with 8 homers, 21 stolen bases, and a .353 OBP. Despite his age, Abreu can get on base and is a solid base runner. He can read the pitcher better than anyone else in baseball. Abreu started 108 games as the Angels DH last year, and he played the outfield for only 28 games. For the upcoming season, Abreu should split time with Mark Trumbo at DH. The Angels might trade Trumbo, who has drawn interest from other clubs. Another scenario that I could see happening is the Angels trading Abreu at the trade deadline. To a team seeking a productive veteran outfielder, Abreu would be the perfect acquisition. 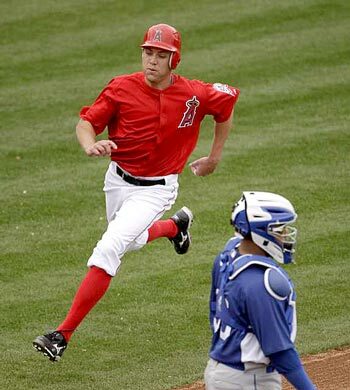 Peter Bourjos, CF: Last year, Bourjos was the Angels most valuable outfielder. Borjous was an above-average hitter who posted a 115 OPS+, and hit 11 triples to lead the American League. However, most of Bourjos’ value is found is his defense. Bourjos was one of the best defensive outfielder in all of baseball last year. He had a 7.5 Ultimate Zone Rating in 2011. Bourjos should split time in center field with Trout. Even though both Bourjos and Trout are outstanding defensive center-fielders, Bourjos covers more ground and is slightly more valuable. Bourjos needs to play everyday in 2012, and I’d be shocked if Mike Scioscia didn’t have Bourjos as his opening day center fielder. 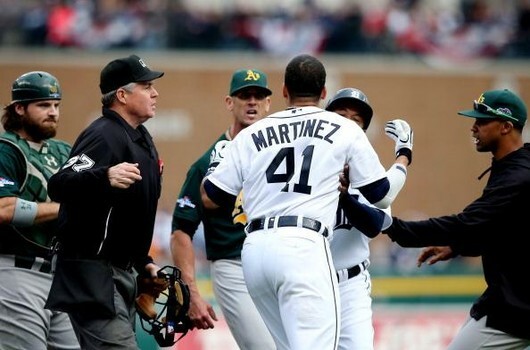 Torii Hunter and Vernon Wells, RF and LF: Torii Hunter is one of the more fun to watch players in baseball. He is also extremely respected amongst his teammates. 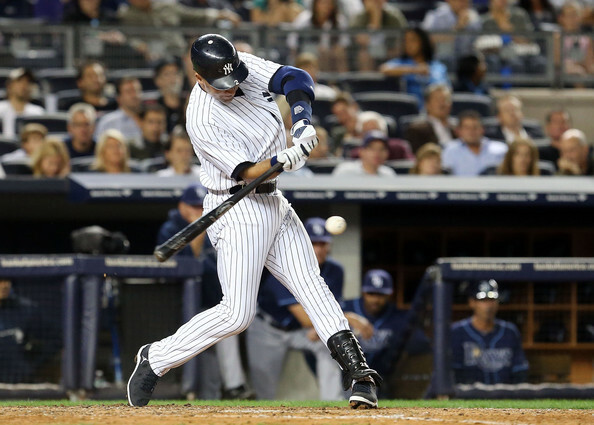 Over his career, Hunter has hit .274 with an average of twenty-four homers a year. Hunter is signed through this year, and is set to make $18.5 million dollars. Vernon Wells is probably the reason why former Angels GM Tony Reagins quit his position (insiders say he was set to be fired but was allowed to resign instead to save face). The Angels traded Mike Napoli for Vernon Wells and the worst contract in baseball last offseason. 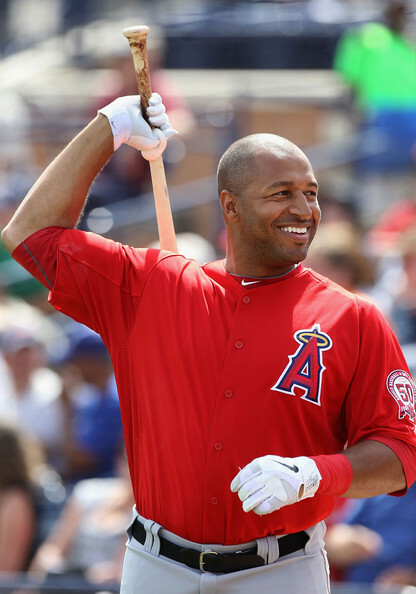 Vernon Wells is signed through 2014 and due $21.5 million in 2012. That’s only about four million less than Albert Pujols salary in 2012. Blown away? I certainly am. To put it bluntly, Wells is not a very good baseball player anymore. In 2012, Wells hit .218 with 25 homers, but only a .248 OBP. Compared to Hunter’s .281 AVG with 21 homers and a .354 OBP, Wells looks pretty awful. Hunter and Wells will probably end up seeing the field about the same number of times. That’s not because of their abilities, it’s just because of Well’s contract. Defensively, Wells actually has a slight advantage over the nine-time gold glover Torii Hunter (although most baseball people would choose Hunter). Overall, the Angels outfield situation is a mess. The Halos have some very talented players, and a trio of overpaid veterans. The Angels outfield logjam gives the team flexibility, with backup solutions in case of injuries or poor play. I would be mildly surprised if the Angels didn’t make a trade before the season. They need to find some bullpen arms and maybe another starter for their rotation. 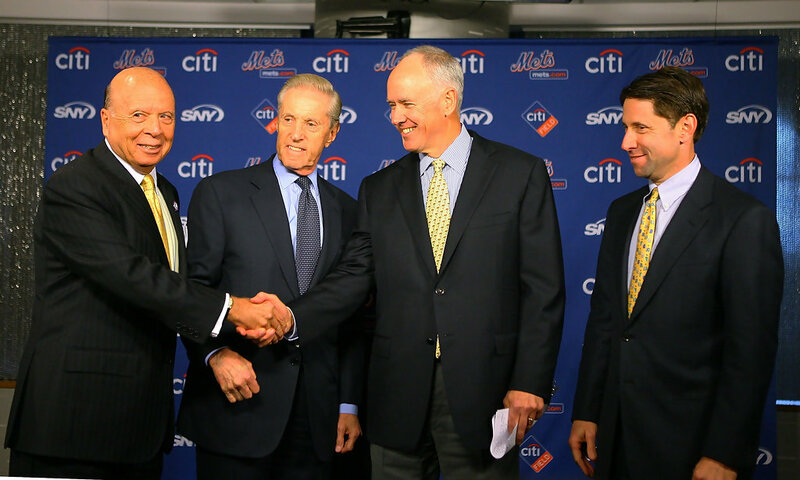 With their plethora of outfielders, they can and should definitely make a trade. It will be more based around what they can get in return. Happy Holidays!